Once the land is controlled, it undergoes the development process; a detailed planning phase where individual subdivisions and lot designations are approved and finalized. Again, YK America's partnership approach and its strong ties with city officials are invaluable during this stage. What sets us apart is our ability to create an open forum with public agencies and to have a thorough understanding of the cities’ goals and forecasts. This insight, coordinated with macro- and microeconomic market study, allows us to formulate a well-designed master plan for each project. The end product is turning raw land into a parcel with a specific use. When development completes, the project receives green light to begin construction. YK America retains land ownership and engages professional services from architects, engineers and consultants. Once the project is approved by the city, building construction can take place. 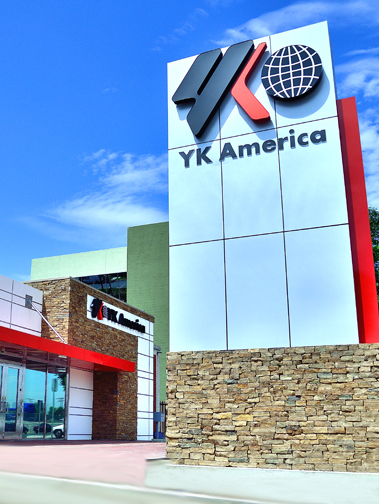 YK America has a network of professionals and contractors who carry out the work within budget and time, always having the investors’ best interests in mind. Real Estate Development is the primary focus of YK Group. And we offer integrated real estate planning, design, consultation, construction, and management service for our clients across the nation. YK America Group (U.S.) is a Southern California based real estate investment and development company. Established in 1968, founders of YK Group was initially based in Taiwan. In 1984, we expanded our business to Argentina. In the observance of US market to be the World Capital, we opened our US office in Los Angeles in 1994. Since then, we have been providing quality service to our investors in the U.S. with over 20 years of experience in real estate related businesses. In the past years, we have consolidated an exceptional relationship with business partners in China, Taiwan, Argentina, South Korea, Japan, Singapore, Vietnam, Mexico, Australia and the United States. Our cross-continental business network has given us the opportunity to broaden the scope of our business horizon under YK Group and its affiliated business partners. Copyright © 2018 YK America ⎪Real Estate Development – Powered by YK America.